Kyrie Irving was relatively dormant on offense in the Celtics' 104-88 blowout road victory over the Orlando Magic on Sunday, as he was Boston's lowest scoring starter with 11 points on 4/13 shooting to go with five assists. 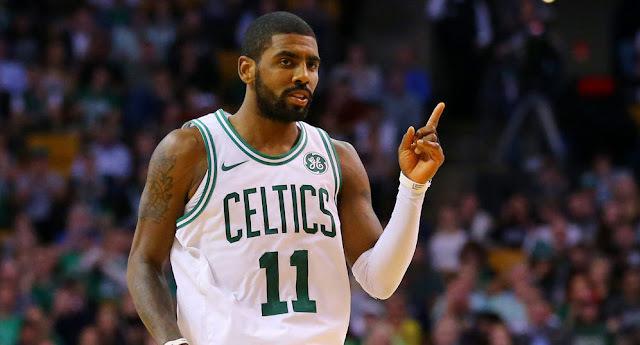 But according to the Boston Globe's Adam Himmelsbach, Irving is far more concerned with successfully filling his role within Boston's offense than he is with statistical output. That must be a wonderful thing for coach Brad Stevens to hear, who has led his team to nine straight wins following consecutive losses to start the season. Irving's quiet scoring didn't extend past Sunday, however, as the 25-year-old put up an impressive 35 points and seven assists as well as some signature late-game heroics to lead the Celtics to a tightly-contested 110-107 victory over the two-and-nine Atlanta Hawks. The Celtics now head back to Boston after a three-game road trip to face the Los Angeles Lakers on Wednesday night.